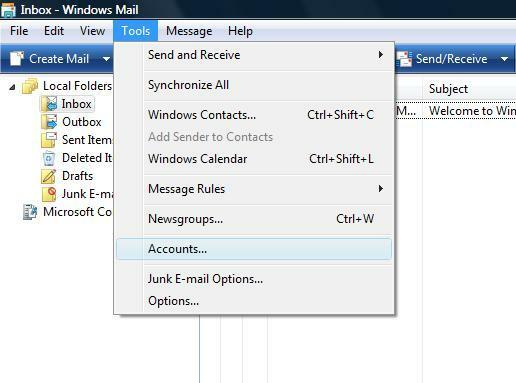 Open Microsoft Windows Mail 6.0. 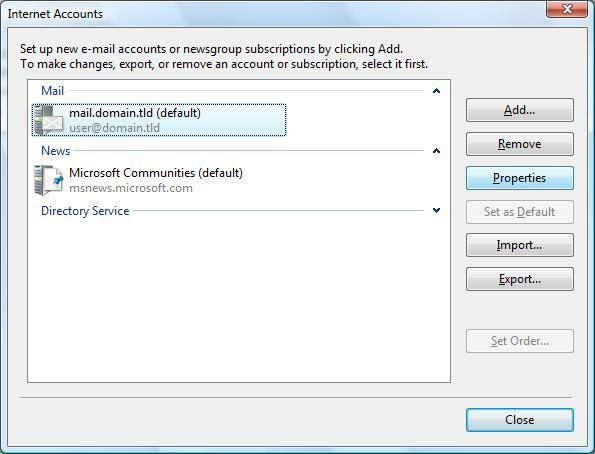 At the top of the page click on the 'Tools' menu and then select 'Accounts...'. 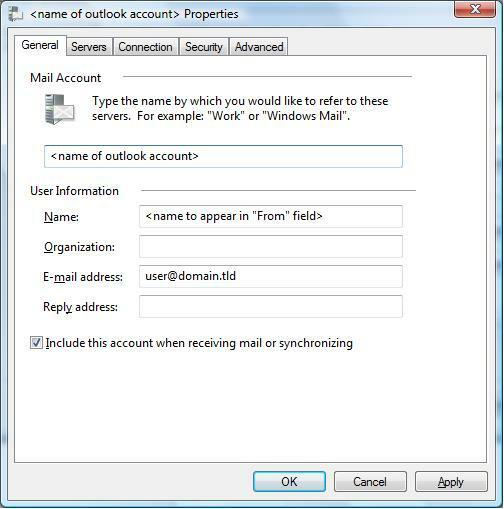 Highlight the problematic email account under the 'Mail' section and click on the 'Properties' button. 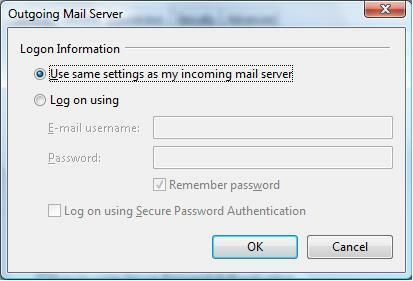 'Password':The one you specified in your EasyMail Setup (8 characters maximum). 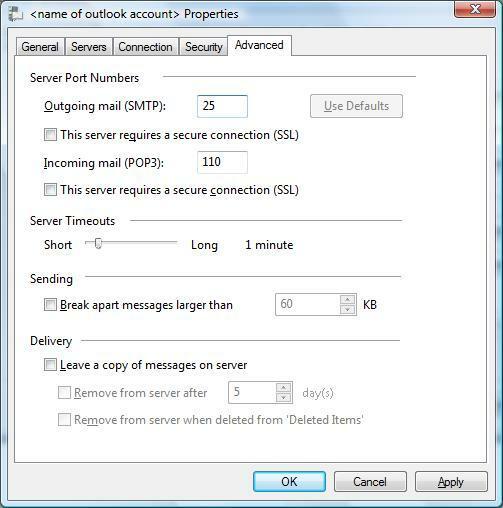 Click the 'Settings' button and make sure the dot is in the first option, 'Use same settings as my incoming mail server' and click the 'OK' button. 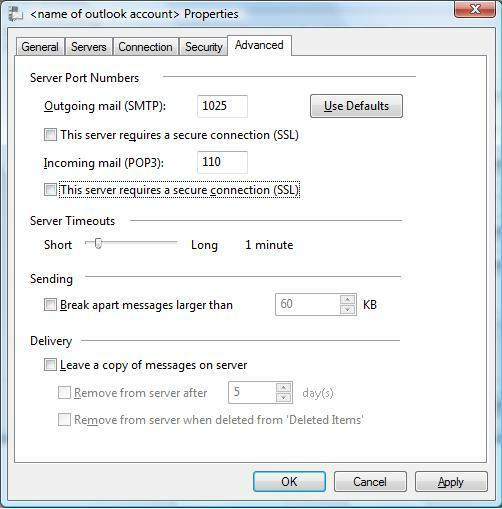 Click the 'OK' button, and then the 'Close' button and now you should be able to send and receive email. 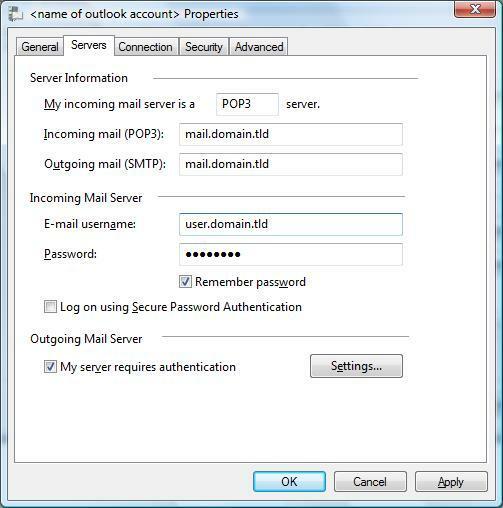 Click on 'Tools' &gt; 'Accounts' > Highlight the problematic account and click the 'Properties' button > 'Advanced' tab.